Successful results of biological reconstruction with long term follow up. 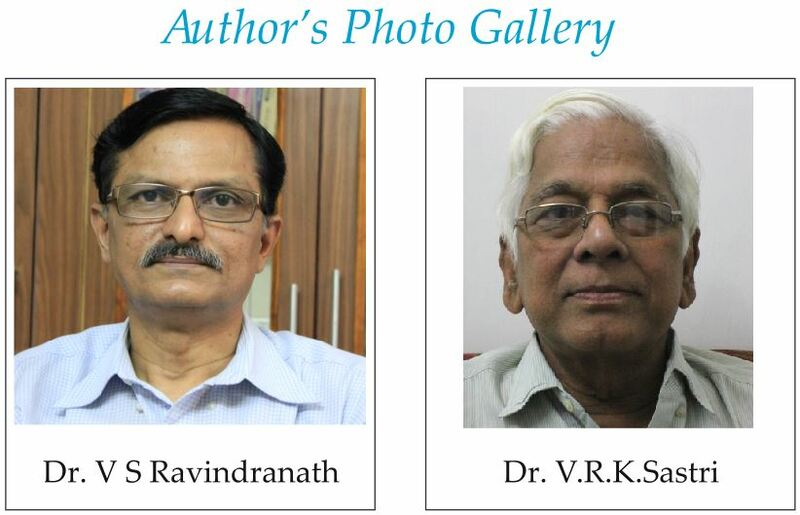 Department of Orthopaedics, Osmania Medical College, Hyderabad, AP. India. Introduction: A 40 year old male patient presented to us with Giant Cell Tumor of upper end of Tibia involving both condyles with a breach in the posterior cortex. In this case report we tried to retain the joint function by biological reconstruction using the Patella after the wide excision of the tumor mass. 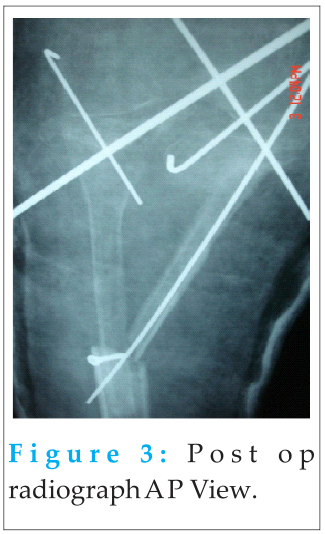 Case Report: A radical excision of the upper end of the Tibia was done. 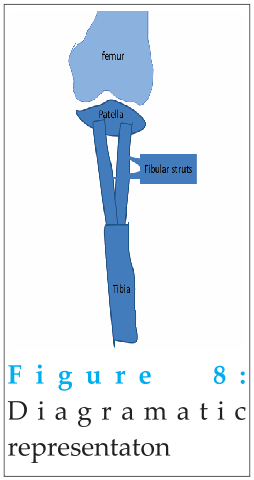 The Patella was used as an articular surface supported by ipsilateral Fibula as struts, thus the joint was reconstructured biologically. The case was followed for 15years. Conclusion: The tumor was excised in toto, the knee joint was restored by the Patella and the Fibular struts. The results were discussed in details. Keywords: Giant Cell Tumor, Patella, Biological reconstruction of the knee. Giant cell tumors are very common in the epiphysis of the long bones like, around the knee joints, the wrist joints, the ankle joints. They extend into the metaphysic of the long bones. The Gaint Cell Tumors are very common in mature skeleton (Ref:1,2,3). The Gaint Cell Tumors are also seen in small long bones, Tarsal bones though rare. They are locally malignant hence recurrence is very common when not excised radically(Ref no: 3,7,9). 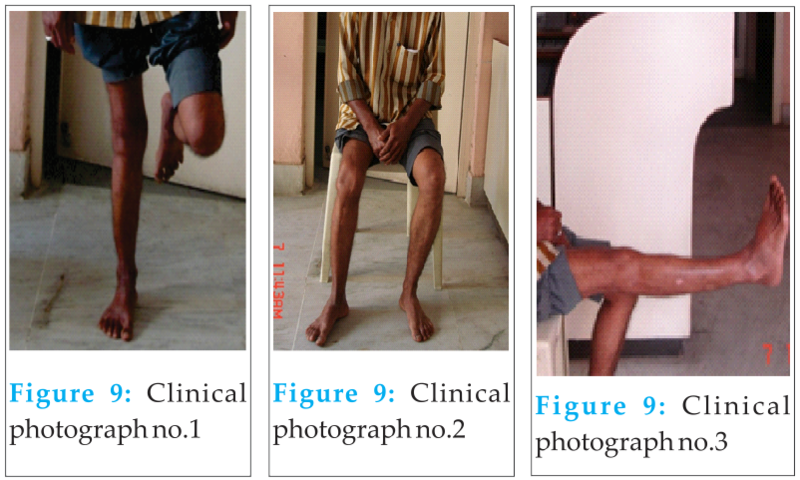 The present case is a 40 year old male patient presented to us with a swelling of the right knee joint of one duration, associated with pain and inability to bear weight on the limb for the past 2 months. He was investigated with radiographs (Fig.1). The radiographs reveal a geographic pattern of Ludloff’s type 1, with a breach in the posterior cortex. The patient was evaluated for the fitness for anesthesia and for the surgical procedure. We had taken an anteromedial approach to the knee joint. A radical (wide) excision of the tumor was done taking care of avoiding macroscopic spillage of the tumor mass in the operating field. Then the patella was enucleated without disturbing the extensor mechanism of the Quadriceps. Then the ipsilateral Fibula was excised and cut into two struts. The Patella was cut into two fragments. The articular surfaces of the patellar fragments were facing the both condyles of the femur and supported by two Fibular struts vide in (Fig. 2). Thus the joint was reconstructed and the whole construct was stabilized with multiple K wires, a cortical screw and the Quadriceps mechanism was retained by fixing the Patellar tendon to the nearby bone and the limb was immobilized in a plaster of Paris splint. The post op period was uneventful. The plaster was removed after the radiological union was evident and allowed range of movements as much as possible. After a period of one year there was a fracture of lateral Fibular strut which was again re-enforced by one more Fibular strut and followed the same post- op protocol as before. 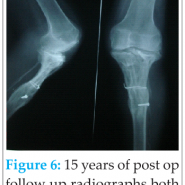 During the follow up period of about 15 years there was good consolidation of the Fibular struts and a reasonably good joint preservation as evident in the post op clinical photographs, video (Fig. 3 & 4), and the clinical video, vide video no.1r. This is a 40 year old male patient presented to us with a swelling of the right knee joint of one duration, associated with pain and inability to bear weight on the limb for the past 2 months. 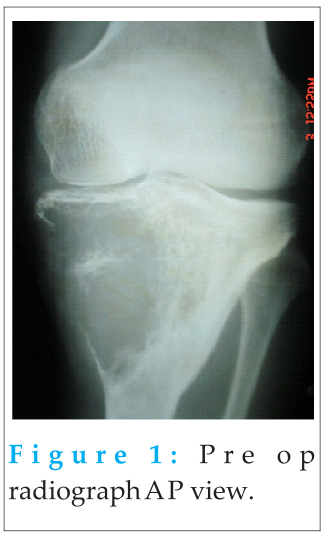 The aim is to radically excise the tumor mass retaining the function of the knee joint. The treatment should also be cost effective. The procedure done has met both the purposes. We all know that the treatment of choice of Giant Cell Tumor is wide excision as it is a locally malignant disease. 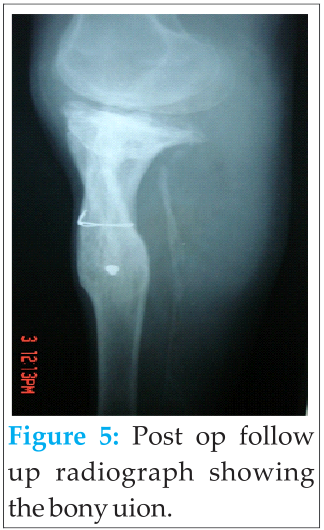 The preservation of the joint function in this case can be done by Mega prosthesis. But this patient could not afford the same. We have shown comparable joint function and good bone union with this type of biological fixation. The patient was back to his livelihood with very negligible discomfort. 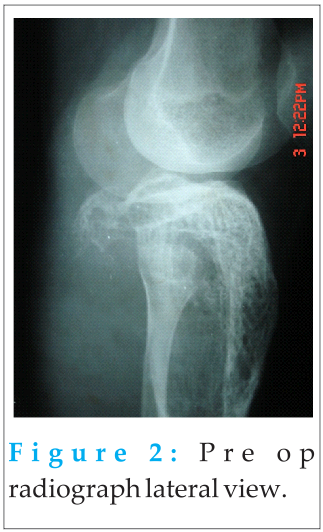 Gaint Cell tumor is a common benign tumor in mature skeleton around the knee joint. The joint can be salvaged biologically by retaining the joint function in selected cases as demonstrated in this case report. The only disadvantage is that this procedure takes a long period immobilization but the end result is very gratifying both to the patient and the treating surgeon. 1. Treatment of Gaint cell tumor of bone: current Concepts: by Ajay Puri and Manish Agarwal, Indian J Orthop.2007 Apr-Jun 2007. 2. Surgical management for giant cell tumor of bones: Khalil el SA, YounisA,ElShahawy M. J Egypt NatlCanc Inst. 2004 Sep; 16 (3):145-52. 3. Jpn J ClinOncol. 1998 May;28(5):323-8. 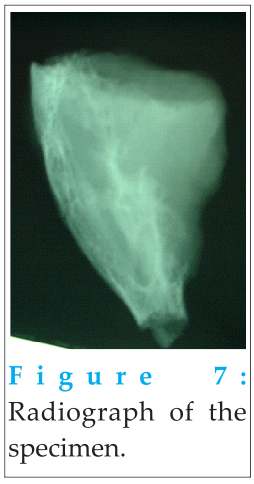 Giant cell tumor of bone: oncological and functional results of long-term follow-up. Oda Y1, Miura H, Tsuneyoshi M, Iwamoto Y. 4. 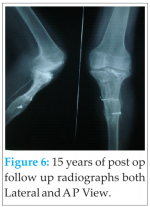 Orthopedics.2009 Jul; 32(7):491. doi: 10.3928/01477447-20090527-08. Treatment of giant cell tumor of long bones: clinical outcome and reconstructive strategy for lower and upper limbs. Muramatsu K1, Ihara K, Taguchi T.
5. ClinOrthopRelat Res. 1999 Feb ;( 359):176-88. Cryosurgery in the treatment of giant cell tumor. A long-term followup study. Malawer MM1, Bickels J, Meller I, Buch RG, Henshaw RM, Kollender Y. 6. J Bone Joint Surg Am. 1994 Dec;76(12):1827-33. Recurrence of giant-cell tumors of the long bones after curettage and packing with cement. O’Donnell RJ1, Springfield DS, Motwani HK, Ready JE, Gebhardt MC, Mankin HJ. 7. Cancer Treat Rev. 2010 Feb; 36(1):1-7. doi: 10.1016/j.ctrv.2009.09.002. Epub 2009 Oct 30. Giant cell tumor of the extremity: A review of 349 cases from a single institution. Errani C1, Ruggieri P, Asenzio MA, Toscano A, Colangeli S, Rimondi E, Rossi G, Longhi A, Mercuri M.
8. J Bone Joint Surg Am. 2012 Mar 7; 94(5):461-7. doi: 10.2106/JBJS.J.01922. Giant cell tumor of the extremity: retrospective analysis of 621 Chinese patients from one institution. Niu X1, Zhang Q, Hao L, Ding Y, Li Y, Xu H, Liu W.
9. Mankin HJ, Hornicek FJ. Treatment of giant cell tumors with allograft transplants: A 30-year study. ClinOrthopRelat Res. 2005; 439:144–50. 10. Treatment of Gaint cell tumor of bone: current concepts :by Ajay Puri and Manish Agarwal, Indian J Orthop.2007 Apr-Jun 2007. 11. Surgical management for gaint cell tumor of bones: Khalil el SA, Younis A,El Shahawy M. J Egypt Natl Canc Inst. 2004 Sep; 16 (3):145-52. 12. Jpn J Clin Oncol. 1998 May;28(5):323-8. Giant cell tumor of bone: oncological and functional results of long-term follow-up. Oda Y1, Miura H, Tsuneyoshi M, Iwamoto Y. 13. Orthopedics. 2009 Jul;32(7):491. doi: 10.3928/01477447-20090527-08. Treatment of giant cell tumor of long bones: clinical outcome and reconstructive strategy for lower and upper limbs. Muramatsu K1, Ihara K, Taguchi T.
14. Clin Orthop Relat Res. 1999 Feb;(359):176-88. Cryosurgery in the treatment of giant cell tumor. A long-term followup study. Malawer MM1, Bickels J, Meller I, Buch RG, Henshaw RM, Kollender Y. 15. J Bone Joint Surg Am. 1994 Dec;76(12):1827-33. 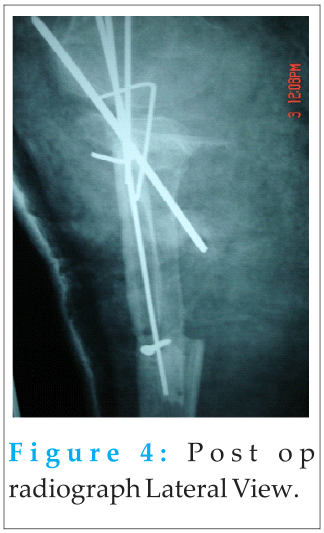 Recurrence of giant-cell tumors of the long bones after curettage and packing with cement. O’Donnell RJ1, Springfield DS, Motwani HK, Ready JE, Gebhardt MC, Mankin HJ. 16. Cancer Treat Rev. 2010 Feb;36(1):1-7. doi: 10.1016/j.ctrv.2009.09.002. Epub 2009 Oct 30. Giant cell tumor of the extremity: A review of 349 cases from a single institution. Errani C1, Ruggieri P, Asenzio MA, Toscano A, Colangeli S, Rimondi E, Rossi G, Longhi A, Mercuri M.
17. J Bone Joint Surg Am. 2012 Mar 7;94(5):461-7. doi: 10.2106/JBJS.J.01922.Giant cell tumor of the extremity: retrospective analysis of 621 Chinese patients from one institution. Niu X1, Zhang Q, Hao L, Ding Y, Li Y, Xu H, Liu W.
18. Mankin HJ, Hornicek FJ. Treatment of giant cell tumors with allograft transplants: A 30-year study. Clin Orthop Relat Res. 2005;439:144–50.